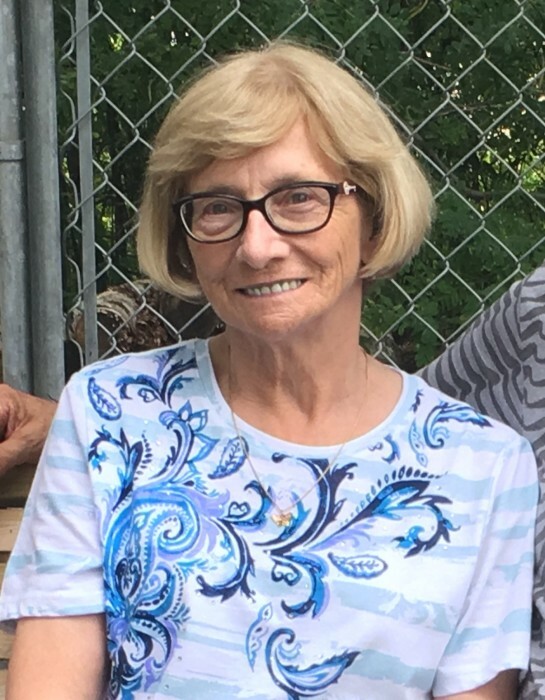 Obituary for Glorina M (Epp) Wareham | Grays Funeral Chapel LTD.
Gloriana May Wareham passed away on Monday, March 25, 2019 at the age of 73 years at the Victoria Hospital, Prince Albert, SK. Even though Gloriana struggled with her illness, cancer didn’t take away her dignity or relationships with her family. She was always able to interact with loved ones and stayed at home until her final days. Gloriana worked as a secretary for most of her life and dedicated 26 years to Fire Management and the Department of Highways. Her grandchildren were her pride and joy and she loved spending every minute she could with them. Gloriana had a wide array of hobbies which included sewing, knitting and pottery some of which were award winning. She also loved to read and enjoyed her quiet time but also had a large coffee group that she spent alot of her time with. Notably, years ago, she drove a Stock Car in a Powder Puff race which was very much out of her character. Gloriana will be lovingly remembered by her husband: Ben Wareham of 56 years; children: Cheryl Wareham (Brad Schilling), grandchildren, Matthew (Brittany Bitternose), Caydan step grandson Ryan Schilling; Kevin (Jan) Wareham, grandchildren Lainie and Kale; Trina Wareham, grandchildren Jaici, Jorja and Chase; brother, Gordon (Loisé) Epp; nephew and neice, Terry (Crystal) Epp and Dawn (Ian) Gorenko; sister, Corie (Julien) Epp, as well as numerous other relatives and friends. She was predeceased by her father: Cornelius Epp; mother: Martha (nee Grey); infant brother, Ronald; mother-in-law, Kay; father-in-law, Bill; sister-in-law, Shirley and brother-in-law: Raymond. A Memorial Service will be held Thursday, March 28, 2019 at 2:00 p.m. at Gray’s Funeral Chapel. 575 28 St W, Prince Albert, SK with Rev’d Nora Vedress officiating. Interment in Prince Albert Memorial Gardens. Condolences may be sent to the family at www.grays.ca. Funeral arrangements have been entrusted to Gray's Funeral Chapel.